GET INSURED	THE WAY YOU WANT IT! We know that getting malpractice insurance is a pretty boring affair. And that's why we've made it as fast and as easy as possible for you to get covered. 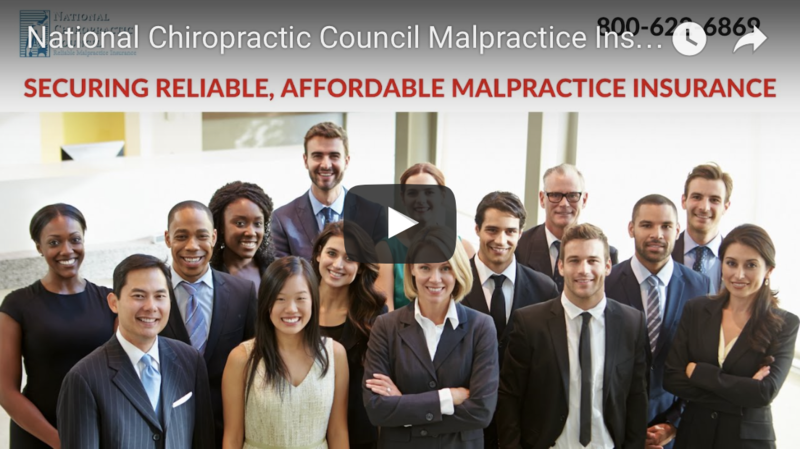 "We have been securing reliable and affordable malpractice insurance for chiropractors just like you since 1986." Our talented legal defense team, headed by Michael Schroeder, recipient of the Chiropractic Attorney of the Year, works to protect your reputation. Our members enjoy a solid policy at a low rate. When you join the National Chiropractic Council you are joining a team committed to Chiropractic that will be here long after you retire. The National Chiropractic Council is the only malpractice program that takes a pro-active approach to limiting your exposure to nuisance claims. Watch this video now to see how NCC effectively takes our doctors out of the line of fire of nuisance suits.